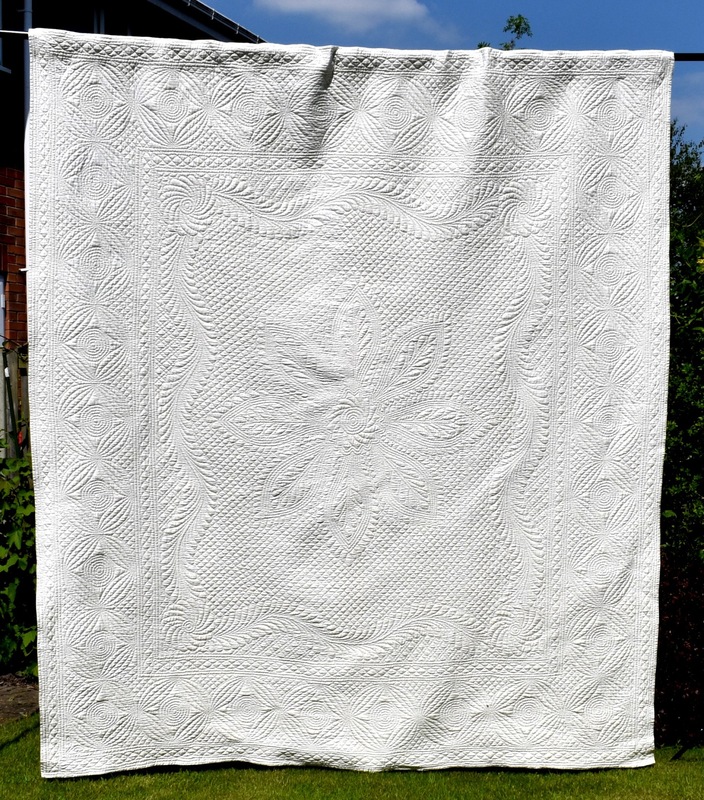 I love wholecloth quilts, which are probably the most typical British style.They have no patchwork or applique, but just rely on the texture created by hand quilting over the entire design. 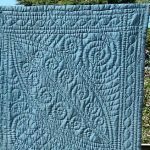 Click on the links or the photos to go to a page about each individual quilt, with more information, and plenty of close-up photos. 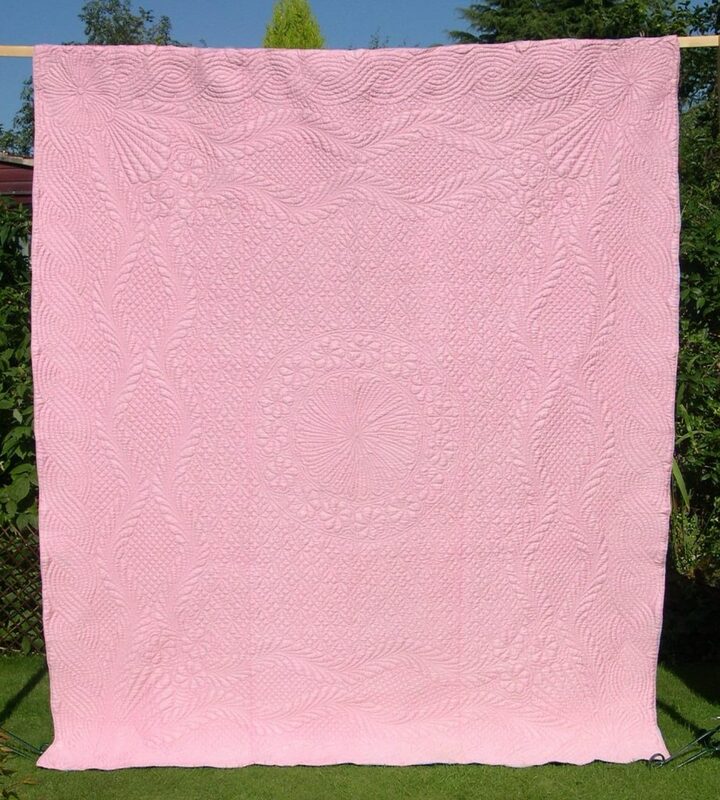 In looking at wholecloth designs, remember that they were of course designed to be seen on beds, rather than displayed vertically as on most of my photos. The usual framework consisted of a large central design which would be displayed on the top of the bed, surrounded by one or more borders which would hang down at the side. 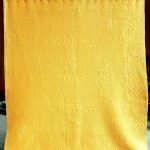 Two regions of the United Kingdom have particularly strong traditions of wholecloth quilting; Wales, and the North East of England. 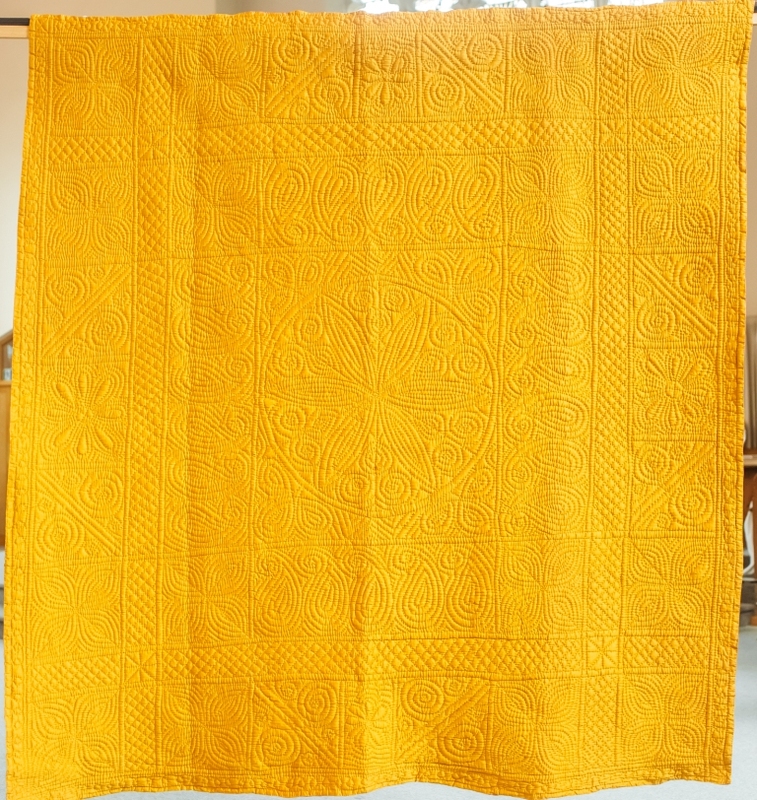 The overall style and the motifs used from each region can easily be recognised. 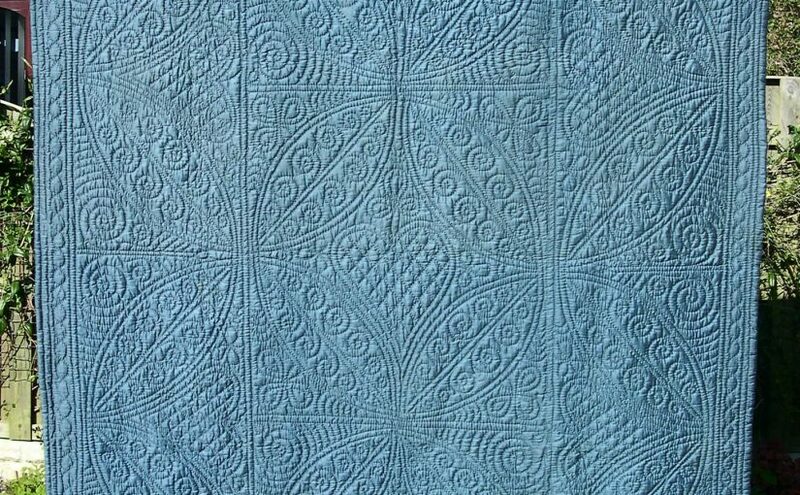 Click here to go to the webpage for the Blue Paisley Welsh wholecloth, a lovely example. 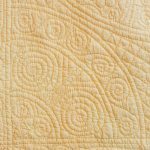 However, in the late nineteenth century, a new style developed in the North East, with the design flowing more freely between the centre and the edges. 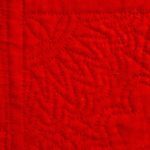 or to download the article, from The Quilter, Winter 2017, issue 153 click on this link: TheQ_#153_12–14_Amy Emms Bursary. 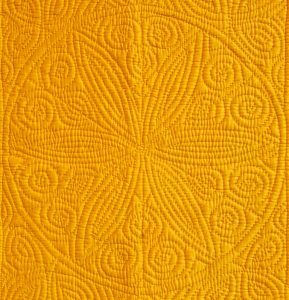 If you are interested in the heritage of British quilting, then why not look at the extensive collection owned by the Quilters Guild of the British Isles? 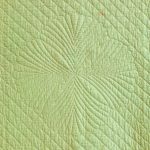 For those particularly interested in studying more, the British Quilt Study Group is to be recommended.